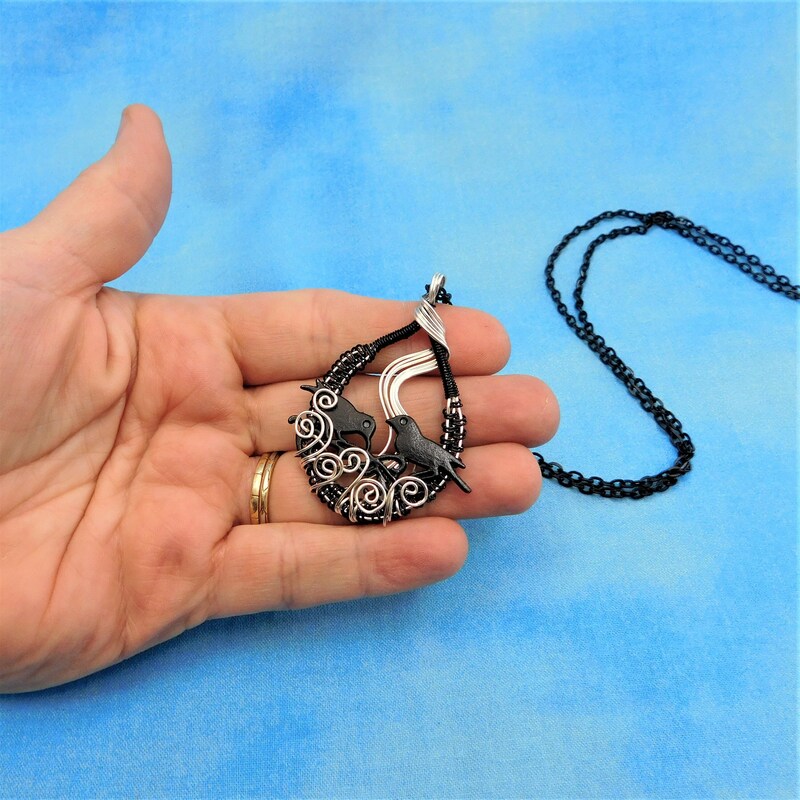 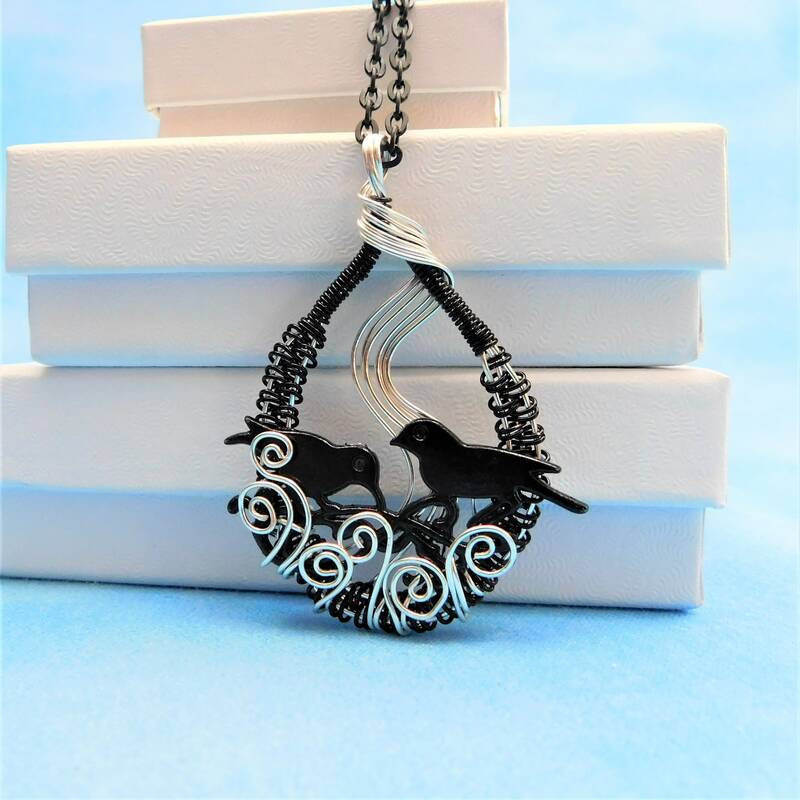 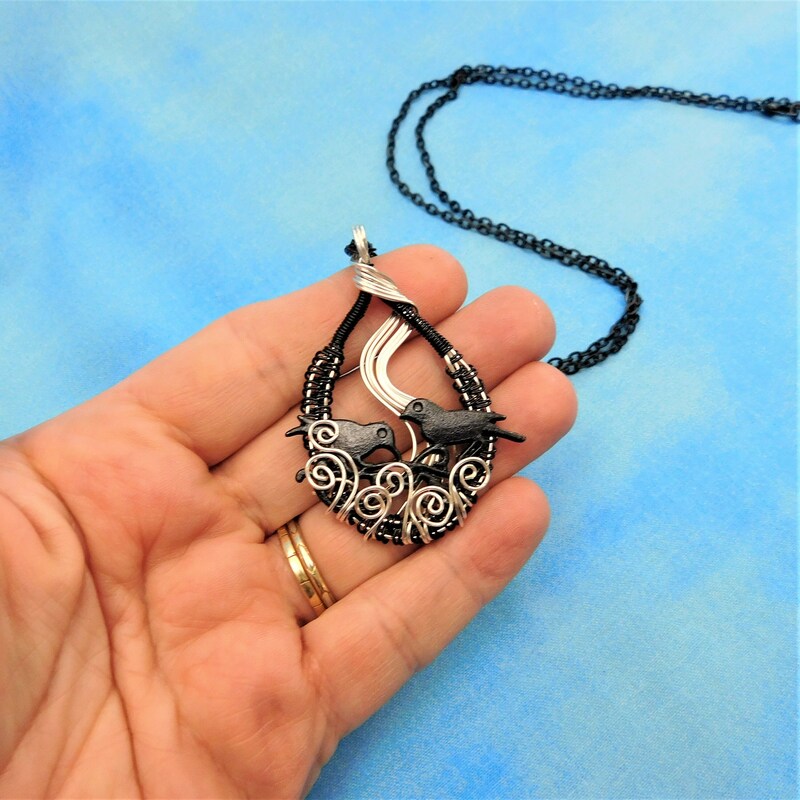 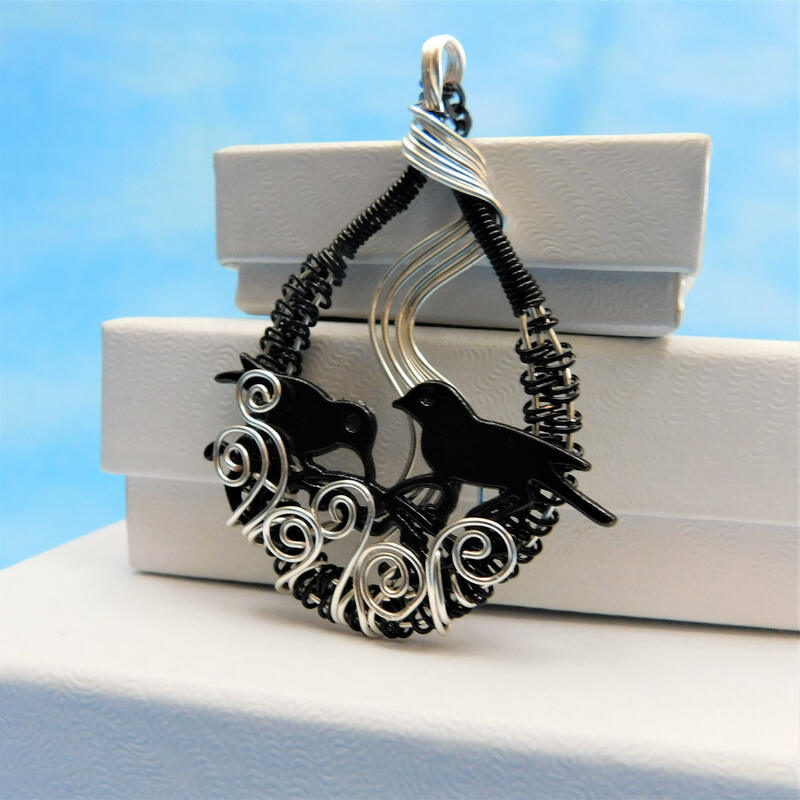 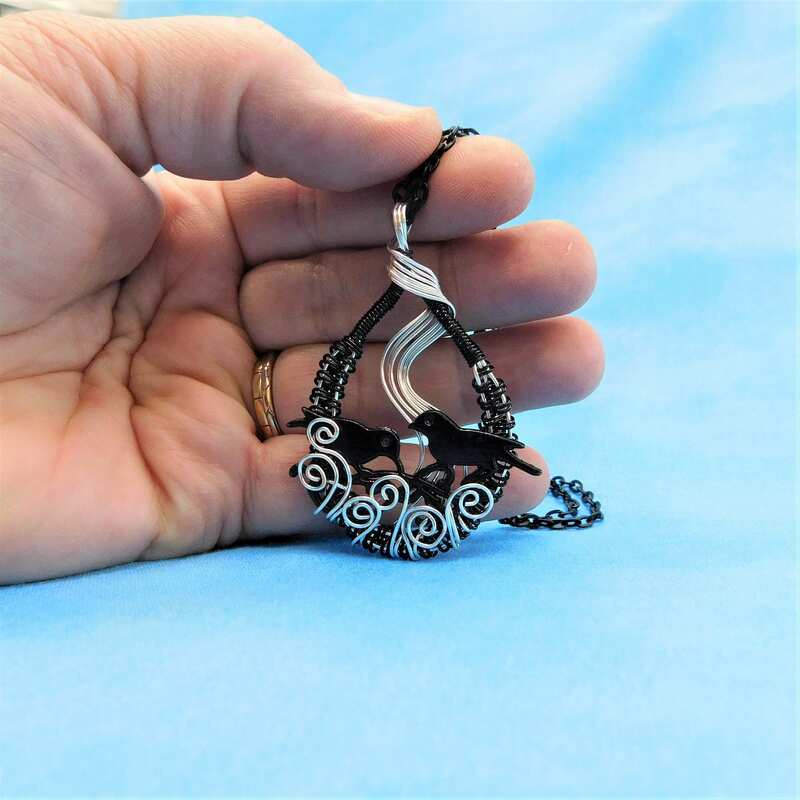 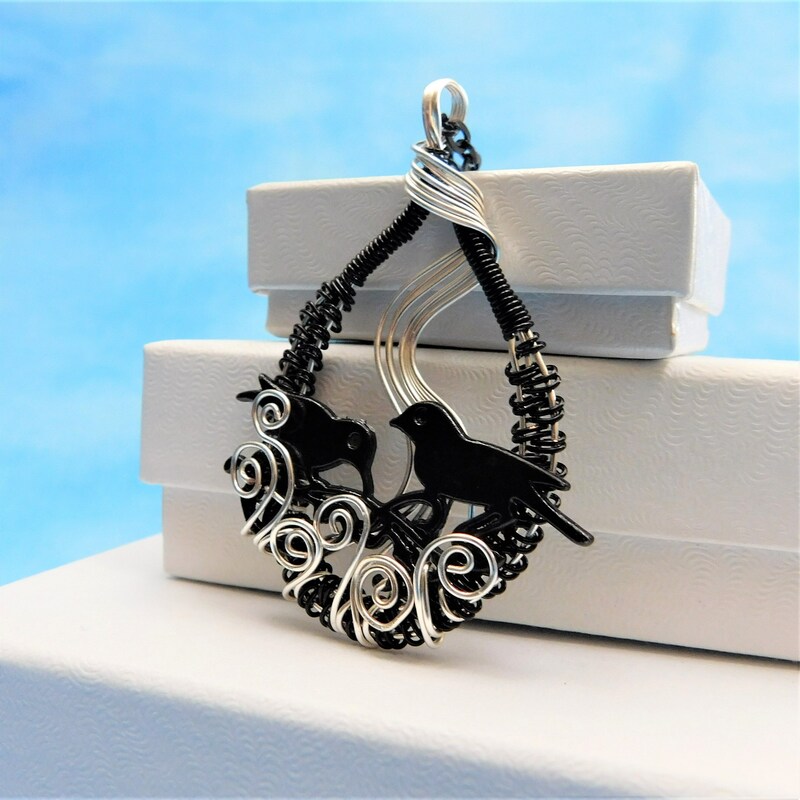 Black and silver non tarnish copper wire is hand off-loom woven and artistically sculpted to frame the silhouette of two nesting blackbirds, creating a 2 inch by 1 1/4 inch pendant. 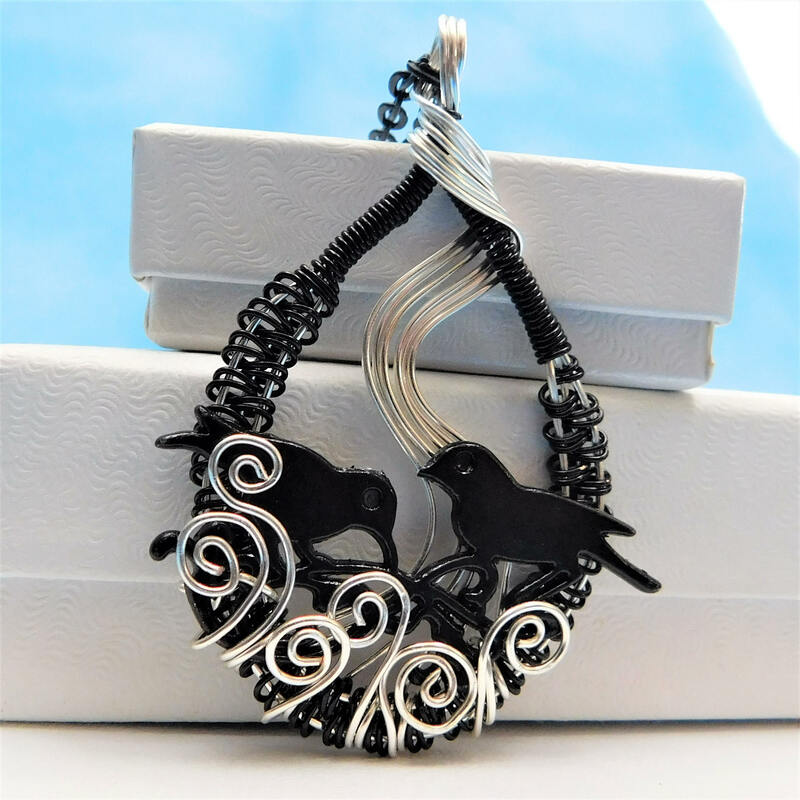 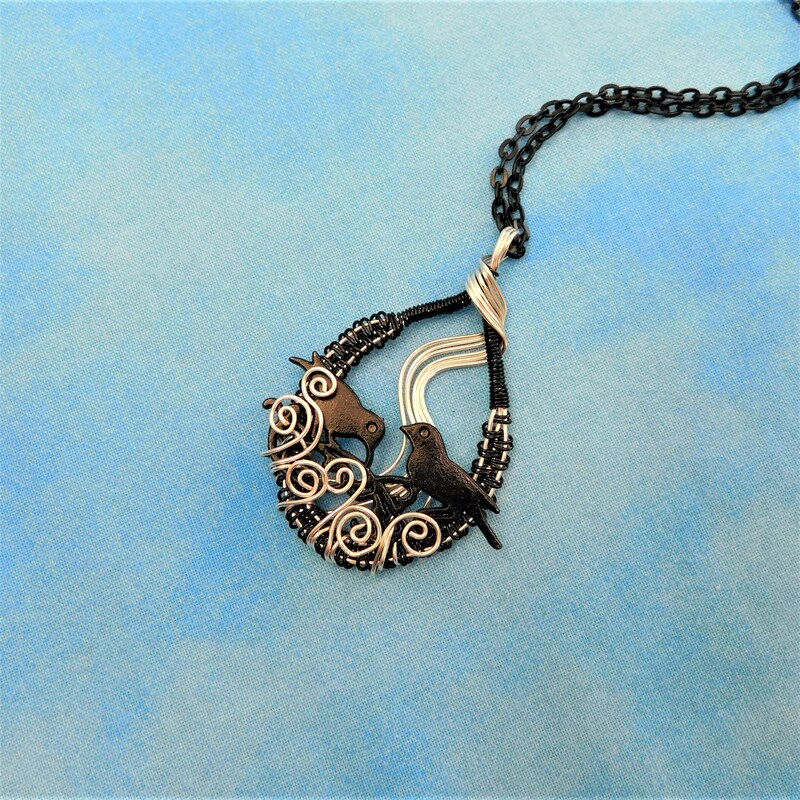 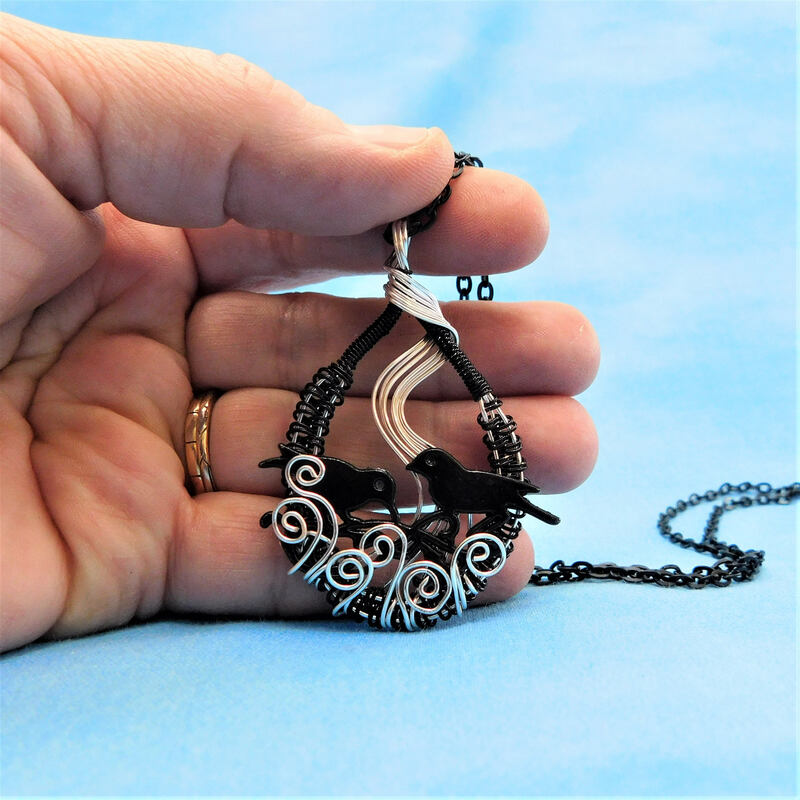 Although it may appear to involve many strands of wire, you might be surprised to learn that the entire pendant was created with only four individual strands of wire, engineered to incorporate the birds within the design. 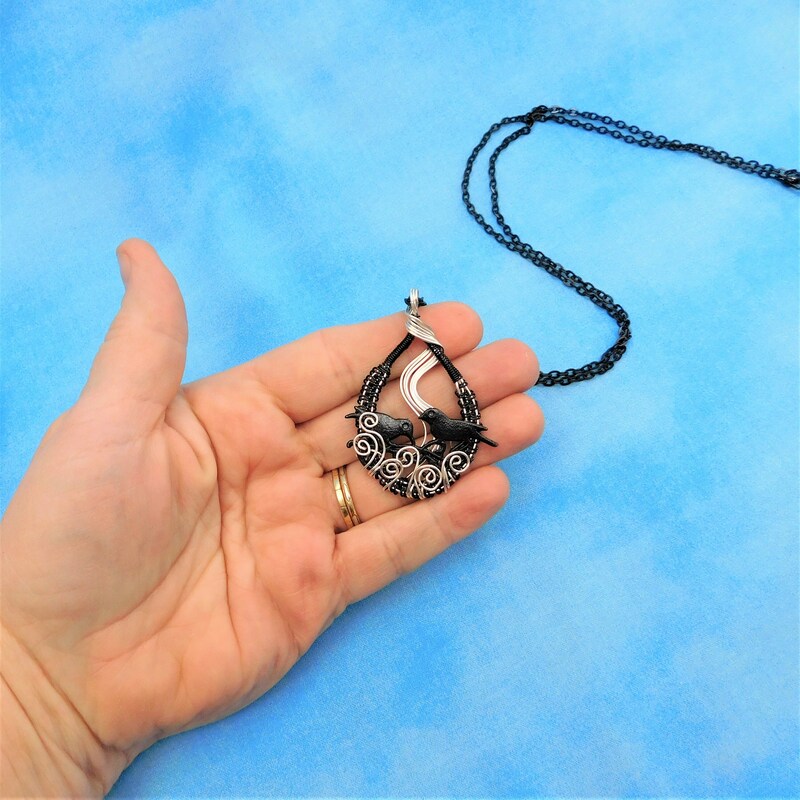 This artisan crafted pendant comes with a FREE coordinating chain with lobster claw clasp measured to your preferred length.